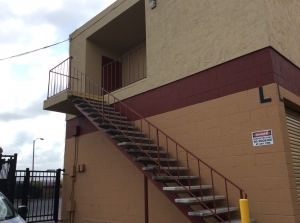 *****PLEASE NOTE THAT THERE IS NO ELEVATOR AT OUR FACILITY AND ALL SECOND FLOOR UNITS ARE ACCESSIBLE TO STAIRS ONLY. ADDITIONALLY, SECOND FLOOR UNITS ARE ONLY ACCESSIBLE DURING OFFICE HOURS. 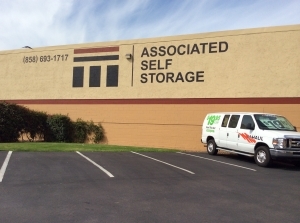 Welcome to Associated Storage, your local source for secure, affordable storage units. We offer a variety of unit sizes, tailored to fit your needs and your budget. At Associated Storage, quality customer service is our first priority. In these economic times, we understand that it's hard to find valuable service at affordable rates. When you work with us, you wonât have to compromise your standard of value! ***Also, current specials are only for first time customers. Looks like the best storage deal around. Tiffanywas wonderful--very excellent start to finish! I am very pleased with my unit. Everything worked out great and I already moved a few things in. I got a terrific deal and everything was well explained and straightforward. And I am very happy! Quick and easy! Great prices! Good front desk service. Excellent price and deals. Super organized and clean. Very satisfied with all, including the coffee treat at the reception! Price is right. Great customer service! Can't think of anything negative except the dirt/dust in the unit. The price is great but the location makes me a little worried. They seem to have pretty good rules about who is allowed in but I didnât notice any cameras monitoring the property. Great place, price and staffing. Very good price, clean place and great staff. Inexpensive, staff friendly and competent. Had to walk boxes up stairs which was challenging because there were no more ground floor units available at the time. The staff was very friendly, I got a really good deal and the storage was more than I needed so I have extra space. Very good pricing and freeway close. Also the people there are great. Units are not air conditioned and there are stairs but I got a unit right by the door and it works great for me for a very low price. Great customer service and nice facility. Inexpensive. Professional staff. Clean facility. Great storage for the price.Clean Storage & Complex. Friendly Service. Excellent customer service! Worth the most in my book. Jessica was super sweet and accommodating! right off the 15 freeway, convenient drive-up units, reasonable rents. Staff was helpful abd welcoming. thank you for helping me find the right storage location!! The staff was very efficient and helpful! It was a hassle moving and they definitely lightened the load by being efficient and the process was painless and quick. Awesome staff! Very cheap and friendly staff. The staff here was great! Would definitely recommend this storage facility. It is a good storage.The only disadvantage that i can use my upstair unit only from 9am to 5 pm. In another storage I used upstair unit with the code lock.It is easy. I will use the service again in the future . The price are reasonable. Good: Nice place. Great customer service. Open 7 days a week. Very affordable. Reliable automatic payments and open hours. Bad: No elevator or cameras in certain buildings. Its a very nice place and good facilities,i am happy to storage my items there. I used their storage for 2 summers, very easy to use, simple process, and within a reasonable budget. What more can you ask. Really great customer service and was able to get me in quickly! All in all I really enjoyed how easy and quickly I was able to get the exact size storage space I needed. I was able to do a weekly rate which was cool because I was on a week to week basis to find an apartment. Highly recommend using this facility for storage. Good value for the price and size of storage unit available. U pay for what u get! Place says open 7 days a week but very limited hours. Maybe because it's San Diego but storage places are hella expensive and this place is cheaper but u get what u pay for. Old, dirty spaces that the walls were falling in, rain damage and u have to sign in and out to get the key to your building. Being a broke jarhead you have to ask yourself what do the normal people put there stuff in, I would only recommend this place to a friend if they were broke too. New to unit. Will see how it goes. Very courteous and friendly staff. I had a problem with a lock on my storage unit door and I received assistance in no time. Great value for the price paid. Easy and secure access. I can recommend this facility! Have had two units here and have had zero issues! Everything was very easy and self-explanatory. The lady at the front desk didn't have the best attitude, but she was polite and answered all of my questions, so I didn't really mind. The facility was clean and seemed very secure. The price was the cheapest I found online, so that was also a plus. Having a military and student discount really helped out too! The staff was nice and they quickly took care of a light issue in the unit. The pricing was excellent compared to other facilities. They do have many rules in place with fines associated with them, but honestly I think it is quite reasonable. Considering the rules are set to protect their customer as well as themselves. I still can't brag enough about how competitive they are with their pricing. For what I paid, i thought that it was okay. the process to move in was not that hard. Lots of help from staff. Great facility for a very fair rate! My wife and I chose Associated Storage based on the overall value, but we were surprised to find that the units were very nice, as well. We only needed a 5x5 unit, and the team at Associated Storage were kind enough to show us both of the units they had available. Be sure to check out the unit in person, and bring your tape measure, because the units do vary in size. Some are slightly smaller (by a few inches) than advertised, so if your needs are very specific, it's good to know exactly what you are getting. Overall, I don't think that they can be beat on overall value. The only improvement would be to lengthen the office hours, as the second floor units are only accessible when the office is open, or provide another way to access the second floor when the office is closed. They hold onto your driver's license while you access your unit, so security is very high, as it should be. But it does limit the hours your unit is accessible. 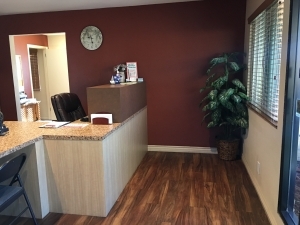 A great facility, fairly priced, clean and right off the I 15 freeway. I am impressed with your recent changes since ownership changed. It went from being a very decent facility to one that is outstanding. I am a return customer and am very happy with the changes and new management. the staff was very helpful, the price is reasonable for a second floor unit, and using the facility is fairly simple for security purposes. The recent remodel of the office is great. Decent, better than the one next door. Overall, everything was pretty decent. Only concern was just some more maintenance is required. 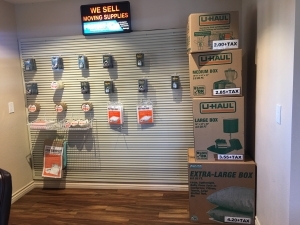 Great storage facility and customer service!! Really smooth and easy move-in - friendly, professional - it was a breeze! I found a great deal online. The people in the front office seem nice a first but you get a very creepy vibe from the women. The guy seems very nice. He is willing to go above and beyond to help you out. I'm glad he was there when I first walking in to ask questions otherwise I would have passed on the deal. The women also flip out quietly (lots of looks back and forth at each other) if you go behind the counter and look at their supplies that they have there to sell. Why would you put supplies behind the counter if you don't want people to ask questions or want a closer look? Move went well. Good customer service. Good size unit for the money. It's not climate controlled and it's not 24/7 access but I can live with that. The people were friendly and made the process of moving in simple. Explained everything so there's no surprises. it's a month to month "lease" so I can stay as long or as little as needed. Staff very friendly, answered all of my questions, booked a unit and moved in on the spot. Clean facility, no elevator access to the 2nd floors which was a bummer. Overall, pleased with the professionalism of the staff and availably of units and the quick time to get one rented and on your way. Fair prices too! If an elevator is available, this would be the ideal storage facility. serviceable, under construction, AND NEEDS on-site restrooms. Good value storage units if you don't need climate control. 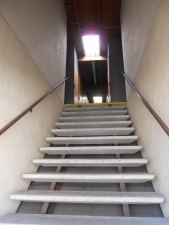 Least expensive options are upstairs (no elevator). So far, so good. 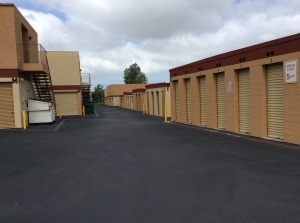 The storage units appear clean and adequate. Only downsides are there were no elevators nor roll carts, so had to carry our stuff up stairwell and the facility hours are quite strict, so keep track of the time! It's a good facility. Though the hours should be longer. First of all, do not be fooled by the pictures above, it looks nothing like that. Overall, for the price I am going to pay I would say it is a little less than worth it. Just remember you get what you pay for. Other than that, no complaints, I was able to fit everything I needed inside. I was really impressed, super friendly and fast. They even have have me a goody bag when I signed my contract. Great people, very helpful. Awesome price. The AD Said The Unit Was 5 X 5, Moved From Another Larger Unit At A Different Company Who's Units Were The Size They Advertised. Sadly I Already Had Everything Ready To Unload Or I Would Have Gone Elsewhere As The Unit Was Really More Like 4 X 3 1/2 X 8 And I Had Already Figured I Needed A 5 X 5. Think They Know The Size Of The Unit And Should Be More Honest About It. Since I Could Not Fit Everything In That Unit....I Looked More And Found Extra Space Storage Which Was Actually Cheaper When You Figure The Actual Size, The People Friendlier And The Unit Was Actually Clean. Unlike The One At This Place. Go A Few More Blocks Down The Road, You'll Be Happier. It's fine. I have no complaints. This place offers all sizes with different rental arrangement.. I think this offers a good value for the money. I was having to move suddenly, I had made my storage reservation online, which I found to be extremely helpful. When I arrived it was clear that the unit I had reserved wasn't large enough. The staff was very helpful in not only finding me the right unit, but also the right payment plan! I felt like the staff was understanding of my situation and was very pleasant to deal with. Thanks again for all of your help! Generally good experience. The staff is less than cordial... Maybe they're just busy. Staffs are helpful and it is good price comparing to other storage places! I love how it is an easy access from the freeway and affordable. The 5 x 6 on the second floor is roomy it fit 20 large boxes. Only thing is they do not have an elevator and for someone like me with knee problems, it was a hard move. But for 3 months half off and only 38.00 a month, it was worth it. Staff members are helpful. overall I was satisfied with the exception of the size of the unit. It is advertised as 10x15 but after questioning the lady showing me the unit, she said it was an estimated size and when I measured my unit it was a few inches shy of 10' and 14' not 15'. I was counting on every foot for storage needs. I received a great deal on the rental that no ones else can match, so that was the clincher on renting with Associated Self Storage. Also, storage unit is on first floor which was great to just drive to it and roll up door. So far the staff as been rude and not done their job inconveniencing me with my storage unit by leaving the lock on so I could not unpack my belonging then advising me with an attitude I had 10 mins to return the key or I wouldn't get my license back. Not of to a good start and I will probably find another place soon. I really like this storage facility. It was my first time renting one. The only thing I would change is their hours. If you have an upstairs unit you have to get the key for the building from the office. So you can only go when the office is open. Other than that I really like it. Overall I liked it. Good location right next to the freeway. Very clean. Level driveways. Good Sized Storage for a Great Price! Super easy to reserve and sign up for a storage space. It was good sized and clean and it's easy to get to. The only problem I've had is that I needed something from storage during the holiday and didn't realize they were closed. Other than that it's a great location! I looked around a bit and found Associated Storage to have the best price for the quality of facility. It's convenient to my home and office, and the staff was helpful. Not the most friendly people in the world, but competent and helpful. I found that the directions to this facility lacking from the south. I think that you should avoid Route 163 and utilize Rte. 15 instead. Coming from La Jolla village Drive it seemed like a longer distance because of traffic lights . The service is very good and thorough. I also found the prices reasonable but it would be helpful if there was lighting in the unit . My storage L53 should have the door hinges reversed so it doesn't block the stairway access. Overall rating is excellent, however. I reserved a 10 x 10 unit with drive up access online with no obligation to commit to a lease. When I came to take a look, I found the staff to be friendly and knowledgeable and the premises and units clean and well maintained. 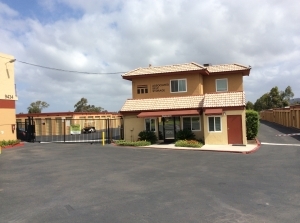 The deal I got on a 6 month lease for my unit is better than offers at any other self storage locations in San Diego. I will not hesitate to recommend Associated Storage to my friends. They do everything right. The office staff here were very friendly both over the phone and in person. I was downsizing from a much larger unit at a different place and was able to fit everything I needed into my 5x6 unit here. There's a dumpster next to each building, which was helpful. Because of the great rates at Associated, I'm now paying only a quarter to a third of what I paid at the previous place. Great deal, nice staff, and convenient to I-15. This was my first experience renting a storage unit. The staff was extremely friendly and helpful through it all. The security protocols seem reasonably sound and the area is gated. And of course a great rate on a smaller size unit. Overall as a first time renter I feel like I got just what I needed! I went in to Associated Self Storage after contacting a different company about renting a truck. The truck company assured me there would be one available once I got there. Upon my arrival, the Associated Self Storage not only contacted the truck company for me, since there was no truck available, but got them to give us $50 for the inconvenience. They were very friendly and helped contact other local truck companies for us to make sure we got one that afternoon. Thank you guys! Very easy to navigate. Moving in and out was quick and streamlined. Most employees very friendly. Way way WAY better than expected!! I found Associated Storage on Sparefoot.com. What drew me to choosing them was their inexpensive prices. Secondly, was the good reviews for customer service. I am one of those people that meticulously read Yelp and other relevant review sites before making a decision to visit a business I haven't been to yet. I went in with high expectations.....and I was blown away! I reserved my storage unit online and immediately called them to confirm. Rosie (I believe that was her name) had no trouble pulling up my reservation and informed me that they were ready for my arrival date three days later. Rosie was actually the one to tour me around and sign the paperwork that day. The other associates there that day were also super friendly. I felt welcomed. Rosie was super quick, but thorough of the lease terms and was receptive to questions--which I asked a lot of, I have never rented a storage unit before. What amazed me was how knowledgeable and professional Rosie was. She knows her job well and does it awesomely. I had reserved online a 5x8 unit. Upon being shown the unit on the arrival date, I found that it would not be big enough for my needs. I had done all the measuring for my biggest items beforehand. But I had not taken into account the size of the doorway that my couch would not slide easily into the unit and also be able to accomodate my Ikea stand-up cabinet and kitchen table with chairs. I asked Rosie if I could step up to the next unit size up, and she happily obliged my last minute request with no hesitations. And she even cut me a little deal on the move-in fee since I would be paying a little more for the bigger unit per month. My experience was all-around great and I feel that I made a good decision leaving my possessions in this facility. They are super secure and friendly. Keep up the good work!! After having been to the Public Storage next door and being disgusted by their "hard sell", need for extras and space that was not what I wanted, I was so pleased with Associated Storage. They were helpful, friendly and did not try to sell me on stuff that I do not need or want, nor were there extra charges not previously mentioned. It seems the facility has undergone a recent facelift and looks pretty good for a storage area. Their customer service is excellent, from the help over the phone to reserve my unit to the polite and helpful personnel working at their facility. 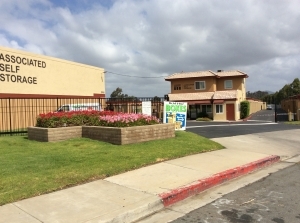 They took the time to show me the unit I was renting and covered all of the details to explained their policy and procedures for renting at this storage. I enjoy the security of the unit which in my case I have to leave my ID at their front desk in order to enter, making everything more safe and keeps track of who goes in and out of a specific building. Thank you for all of the help and excellent customer service. 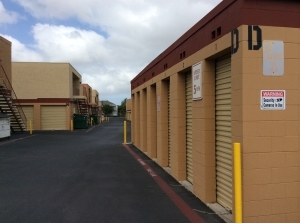 We compared many prices on many units at various storage facilities. This one was by far the best deal, even though it is about 15 miles from our house. We had one issue with our lock not fitting due to the door frame being bent, but maintenance fixed it and we were on our way. They are extremely helpful and friendly, with great customer service and pricing. Would highly recommend them. Price is a deal and it's only 4 miles away from my new place. Only complaint is no elevators and we had to carry a futon up the stairs. Not a new facility, but an excellent price compared with their competition. Good experience. I'd suggest that you inform customers to prepare lock when they are making reservation online. Family owned = SO MUCH BETTER than corporate! We previously had our belongings stored at a next door competitor, which happens to be a large corporate entity (Public Storage). That company raised our rates repeatedly over the past few years, without any added value or benefit. They also had horrible security - our neighbor's unit was broken into and cleaned out, and there was no security camera to record what happened. They lost many irreplaceable personal items. PS staff didn't contact them immediately, didn't file a police report, didn't do jack squat to help them. For raising my rates every 3 months or so, along with everyone else's there, I could reasonably expect they'd at least improve the security or facility. Nope. So... we went next door and found Associated Storage to be much more secure, with personal attention to their customers. The facility was cleaner, the folks working there nicer, the hours of access better, the rates cheaper, the storage space bigger. Win, Win, Win. WIN. Originally I picked this place because it was the cheapest so I wasn't expecting much just a place to store my stuff during summer break from UCSD. However I was pleasantly surprised when I arrived and was greeted by the very friendly, helpful, professional, knowledgable staff. I was given the tour shown the storage unit and asked whether I found it appropriate for my needs. They thoroughly explained all the paperwork and did so in a quick and speedy manner since I was in a hurry. They also explained that I could make my payments over the phone and online while I'm away. Added bonus I was given a student discount when I explained I was keeping my stuff over summer break from school. I would highly recommend this place for their value and service. I received excellent customer service and a great storage unit on the second floor! I now have my own walk-in closet where I can store all of my "essentials." The office help were very pleasant which gave me a good feeling about your facility. We've never rented a storage unit before. Very good deals and student discount! Not far from UCSD, and everyone was very helpful. No frills. Cheapest price within acceptable distance of available units matching my specific criteria. Would not have been the case without multiple specials not advertised on SpareFoot. Staff were willing to answer all questions. Unit interior is pretty make-shift. Quality of security remains to be seen. 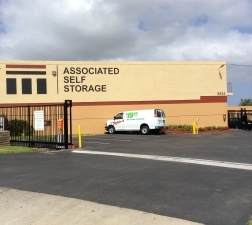 I am very impressed with Associated Self Storage. The staff were incredible. I got an incredible monthly rate. I was paying 3 times as much at a public storage only 5 miles away. I can't say enough about these guys. Excellent all around. Staff was very helpful, price was right. So far I am very happy with it. I had signed up on line for a storage unit that was 5x15 for $63 per month. When I got there I found out that it was on the second floor with only stair access. I was in a pinch, so I had to switch to a 5x15 unit on the ground floor for $103/month which is more than I had budgeted for. I was happy that they had a unit available for me, but frustrated at the misleading information on line when I had reserved my original unit. Customer service was very good. I am very pleased with this storage facility! It is a little extra work to have to walk up steps to reach my unit, but for the price, I don't mind at all. I have been renting at other storage units for about 7 years now and have wasted thousands of dollars. The value that comes with this facility will save me a lot of money and I am grateful. Everyone there has been very helpful as well. The staff was very friendly and helpful.The price was beyond compare, and along with the online special, I could not believe the deal I received. I am so glad I used this site to find this storage company. 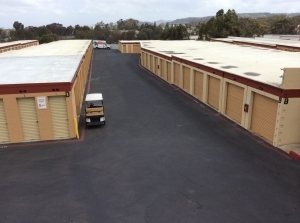 We needed a storage unit immediately and this place was extremely accommodating and was able to help us with all our needs. Great customer service and very clean and accessible. The clerk was very nice and helpful. It is a great deal for a storage. No one else had that price. Over all I was very satisfied. I would recommend this place to everyone, great reasonable price, great staff, clean facility, not over the top strict rules just very accomodating, easy and simple but yet very professional. Easy to access and the best price for the area. very helpful w/finding the right size unit for our needs. the only complaint i have is the lighting outside & there is no lighting in our storage unit.